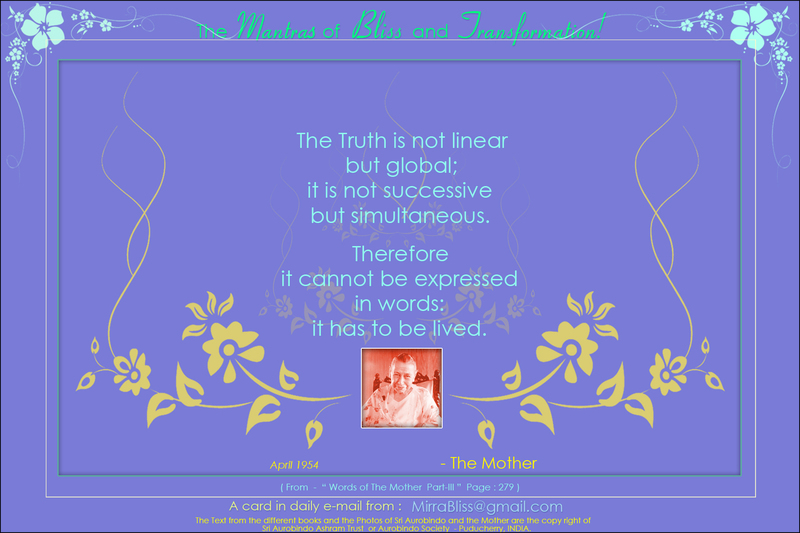 From - "Collected Words of the Mother" Vol. 15 - Book Title : 'Words of the Mother Part-III' Book Page - 279. Chapter Title : 'Experiences of the Mother' from book pages - 277 to 282.